There's quite a bit of begging going on at our house these days. Mostly from the puppy, who can hear the noise of a chopping board being laid on the bench from the other end of the house, and takes it as her cue to hover hopefully at my feet. 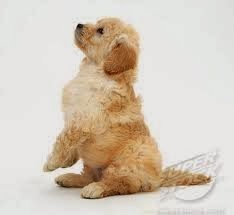 However -- this post is not about the puppy. It is about the use of reading as a bribe, an incentive, a reward for good behaviour. So far, it's working like (ahem) a charm. Not just an excuse to put up a picture of David Tennant... truly! I knew I had a copy of the text somewhere in the house. Hamlet wasn't one of the Shakespeare plays I studied at school (Romeo & Juliet in Year 10, then Macbeth, then Anthony & Cleopatra for HSC) but I'd acquired a battered copy of it from somewhere. I planned to read the original, and then tackle the two YA versions we'd chosen for book group. But I couldn't face it. All those dense, impenetrable words... all those footnotes... that stern, intimidating introduction... My appetite for hard work has sadly diminished since I was eighteen. So I skipped it, and went straight into John Marsden's novelisation (which, interestingly, I found in the adult section of the library). This goes beyond being a direct translation of the play into modern prose. Marsden adds his own descriptions of the setting and characters: the forbidding castle, the white-haired, uncanny prince and adds his own interpretations of their motivations. But in truncating many scenes and glossing much of the dialogue (though he preserves some of the most famous lines), Marsden succeeds in making the action of the play far more intelligible. Finally I could follow exactly what was going on and figure out what the hell Rosencrantz and Guildenstern were up to. Armed with my new understanding, I next turned to Nicki Greenberg's lavish, full colour graphic-novel style volume, 'staged on the page' as she puts it. I'd flipped through this book when it first came out, but had trouble 'reading' the visuals, distracted as I always am by the words, and unable to decipher what the pictures (or the words) were telling me. But this time I was captivated -- I understood the story, I had a feel for the characters and what they were saying to each other, and to us. Nicki's gorgeous illustrations added a new dimension. 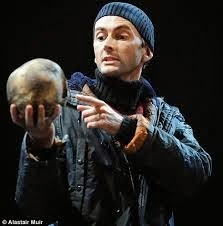 At last I feel I have a (bit of a) grasp of Hamlet. And now I might just have to go back and re-watch the David Tennant DVD, and this time, I think I'll really appreciate it. Okay, I admit it. I was more than a little reluctant to embark on rabbit ownership so soon after taking on the responsibility of a new puppy. But Alice had worked so hard, for months, researching for hours on the internet, buying books on rabbit care, special toys and equipment out of her pocket money, and even building a palatial hutch pretty much all by herself, that we couldn't hold out any longer. At first it all seemed to be too much. Plastic tubs full of hay and pellets and litter; daily cleaning; thrice daily food supply; the mysterious nightly noises emanating from their hutch; the sweeping up of pellets, emptying contaminated water, removal of spoiled hay; the worry that we might soon be hosting unwanted baby bunnies (at least now we know that's not going to happen)... Even though Alice is doing most of the work, it just seemed like a lot of labour for not much reward. I remembered with dread how friends had warned us that rabbits were boring. They weren't like the puppy, who barks and frisks and cuddles up to us, who is frantic with joy at the sight of us, who looks contrite when she makes a mistake, and expresses her personality every moment of the day. The rabbits just kind of... sat there. 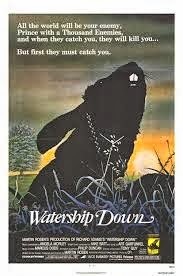 Then I read Watership Down. Because fiction holds the answer to every problem. Losing myself in the story of Hazel, Fiver, Bigwig and the rest, I was completely caught up in their adventures, their rabbit mythology, all the careful, vivid details of the English countryside, their special language and their rabbit-centred view of the world. But most of all, Richard Adams made me care passionately about the fate of these characters -- steady Hazel, uncanny Fiver, clever Blackberry, loyal little Pipkin, desperate Strawberry, the courageous hutch rabbit Clover, the terrifying General Woundwort. Because this is the gift of fiction: to make us empathise with people whose experiences and view of life are very different from our own. Even when those people happen to be rabbits. And now I find that I can appreciate beautiful Momo's sweetness, and his tentative forays into the unfamiliar. I can applaud the bold leadership of Meyer, who made three daring escape bids in as many days. Watership Down has made me see that our bunnies are people, too. Not humans; but people.